Los Rodeos Apartment, is composed of a set of fully equipped accommodations, with a high quality equipment that will make you feel at home, in a different environment, quiet and very comfortable. 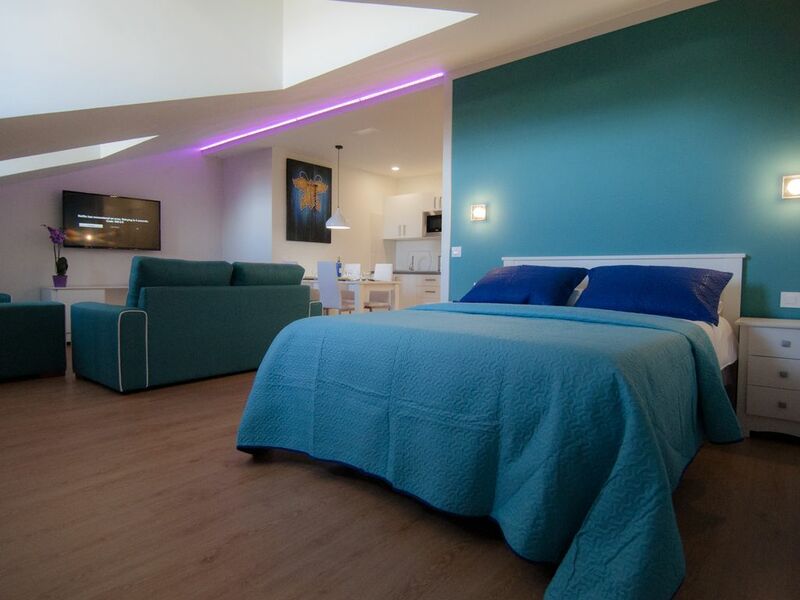 Each of our accommodations has its personality, color, environment, in some cases even being able to be customized by the client, as far as colors are concerned. Composed of three heights and four rooms per floor, they make a set of twelve exceptional rooms, where in each height, you will find a different room condition and unforgettable views. La estancia es este apartamento fue ideal. El personal muy amable. Las fotos corresponden exactamente a lo que pudimos disfrutar y la ubicación y las instalaciones son excelentes.